Chapter 3.2.1. Page Orientation: Portrait or Landscape? 3.2.1. Page Orientation: Portrait or Landscape? 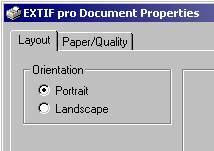 On Property Page ”Layout” you can select whether to print in Portrait or in Landscape orientation.